Welcome to PORCGO LLC, your own Package Optimal Receivable Choices customized for your needs. I have been taking care of people and their pets in the Boulder County and surrounding areas for 15 years. Offering In-Home Pet Care as well as off-leash adventure walks and kitty and critter care. It has been the greatest honor of my life. As times are changing I see the need for this new and innovative service. Being aware of our current e-commerce climate, and the convenience that this new online shopping world provides us, I developed the concept for this service. The answer is simple, for your convenience, security and protecting your purchases from inclement weather. When we make purchases at the store, we all make the effort to safely lock them up as we continue our errands before heading home. Now-a-days we have our expensive and precious purchases delivered via shipping and they are left outside our front door. Every package tells the world what is inside. Food services, Clothing companies, Computer’s, most companies take advantage of brand recognition. This means the advertising is on the box, and why not. Brand recognition is the key to sales for most companies and services. And how about those specific packages that require a signature? How many times have we all missed out on our delivery for not being at home? Not anymore, for a small monthly membership, less than 20% of your average gym membership PORCGO LLC has you covered. Ordering a new iPhone or computer and they offer in-store pick up-AWESOME; accept the hours don’t quite fit into your busy schedule. Package Optimal Receivable Choices LLC has you covered, we offer custom pickups with your membership. Packages can be placed in storage lockers, but I forget to pick them up. Packages can be returned to your local package stores or post office, but there are usually lines as well as business hours that are often missed. We all live busy lives, that’s where your Package Optimal Receivable Choices is the best solution to a new way of shopping. We are a small local business, offering a personalized service and your own small team of Concierges delivering safely and securely in your home. If there are pets in the home, we can complement your delivery by selecting a time of day when you are home or arranging a drop in the garage. Our objective is to make your life easier, safer, and secure.  Never miss a package delivery again. Ask about our Santa’s Helper Service, helping Santa throughout the Holiday’s.